If like me you have enjoyed playing playing Cleopatra slot for years then you will be pleased to know that it has a follow up in the form of Cleopatra 2. It is one of only a few slot games ever made that have been popular enough to merit a sequel. But if you were expecting the same game with a few changes here and there then you will be pleasantly surprised. 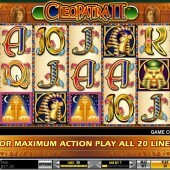 Slot developer IGT have made an online version of Cleopatra 2. You can play Cleopatra 2 in land-based casinos and I have come across it many times in Vegas and Atlantic City. I can also say that IGT have worked wonders to make this online version as enjoyable and pulsating as the land-based version. It is often a potential sticking point for slots making the transition to the online platform that they lose the charm of their land-based original but IGT have done a superb job avoiding that pitfall here. 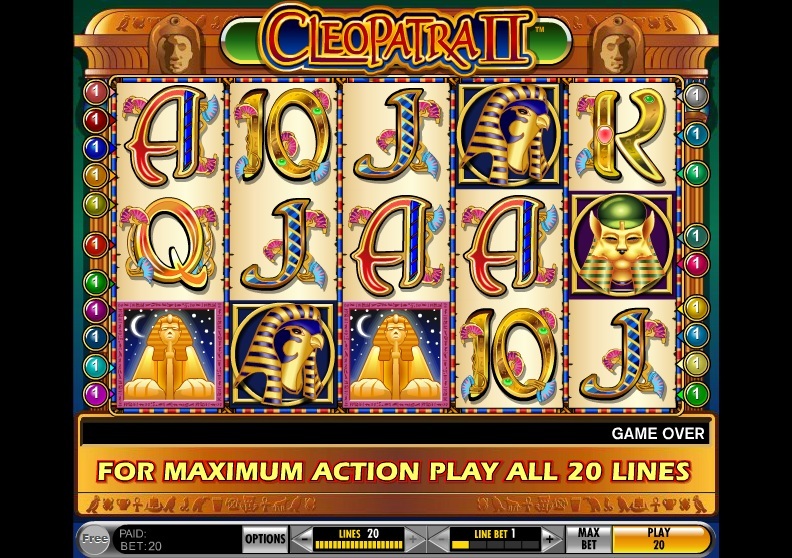 Cleopatra 2 slot is more volatile than the original Cleopatra slot version, meaning that you may go longer periods without a win. However there is a good reason for this and it’s to do with the bonus round. If you hit 3 or more scatters (Sphinx symbols) on any reels then you will get to choose your free spins from a choice of 3 boxes. You can get up to 12 free spins with a multiplier that increases by 1 on each spin. Therefore you could have your last spin at 12x multiplier. It doesn’t stop there though as you can re-trigger the free spins during the bonus round up to 50 and the great thing is the multiplier keeps growing by 1 on each spin. Now you can probably appreciate why I love the bonus round on this game! If you are a massive fan and want something similar to Cleopatra 2 slot to play for real money online then you might want to give Cleopatra's Gold slot a go. This is more similar to Cleopatra slot but it does offer a lot to players that want more of the same.